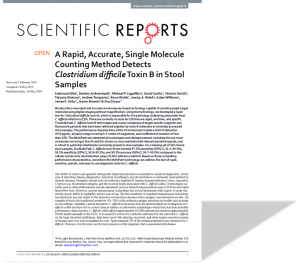 Read the peer-reviewed article, originally featured in Scientific Reports, that discusses the new immunoassay-based technology capable of counting single target molecules using digital imaging without magnification. 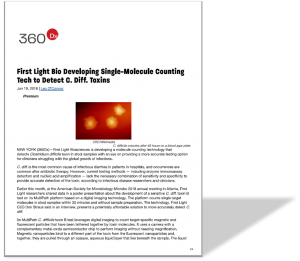 Read the 360 DX article that discusses First Light’s use of advanced digital imaging technology to detect C.Diff Toxins. 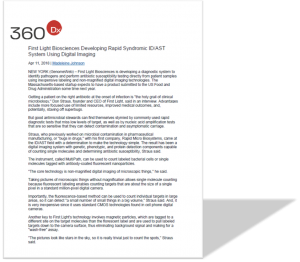 Read the 360 DX article that discusses First Light’s use of advanced digital imaging technology to perform ID/AST testing.